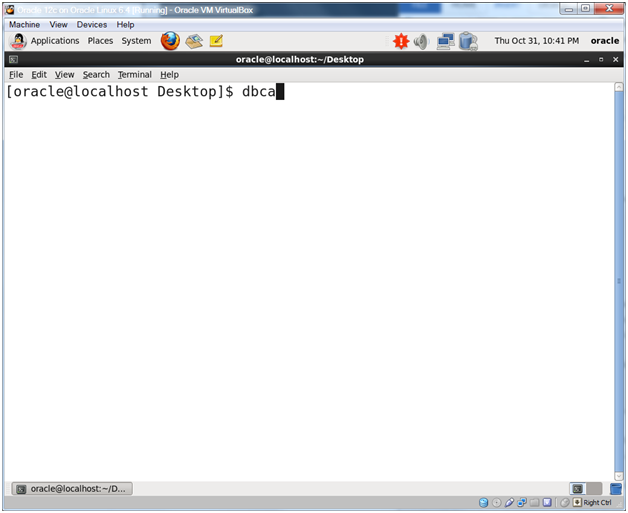 Open a new terminal window by right-clicking the desktop and select Open in Terminal. 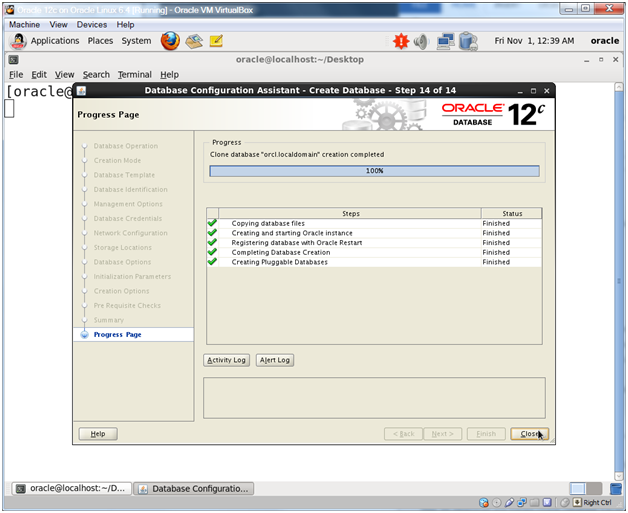 The installer will start after a while (Java has to start up on the machine). 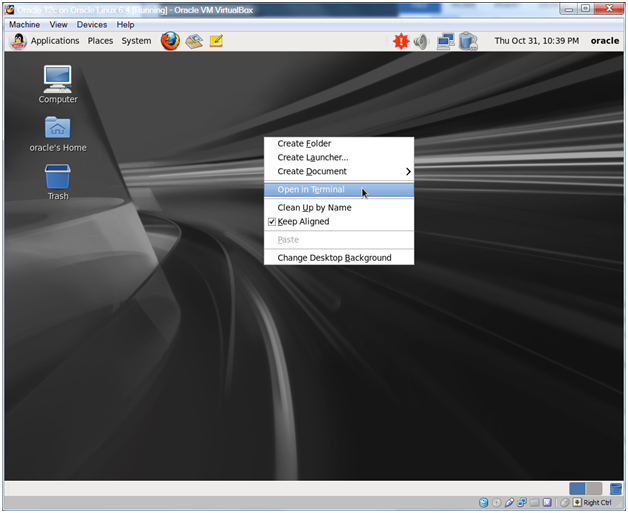 Choose Advanced Mode and click Next. 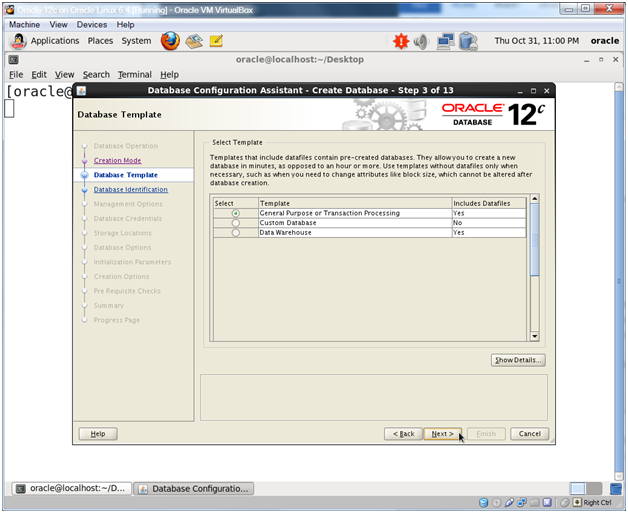 If you don’t want to install the sample schemas then you can just create a database with the default configuration, however do make sure to change the default character set to AL32UTF8. 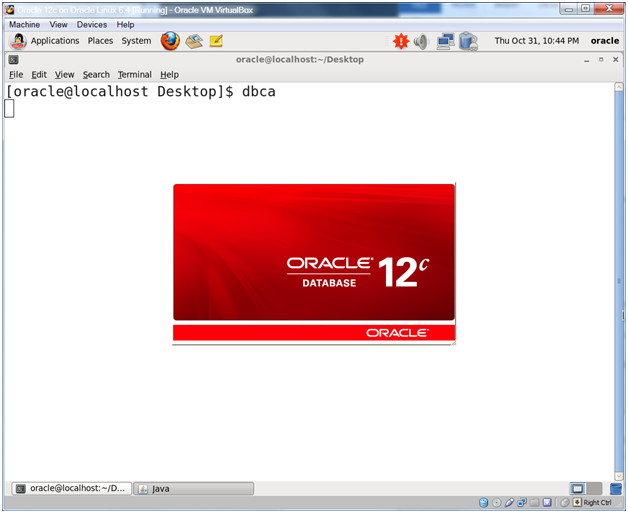 Enter orcl.localdomain for Global Database Name. 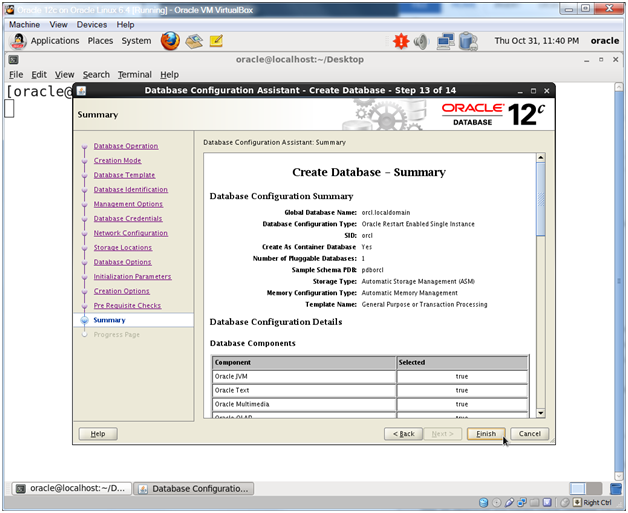 This will auto populate orcl for the SID. 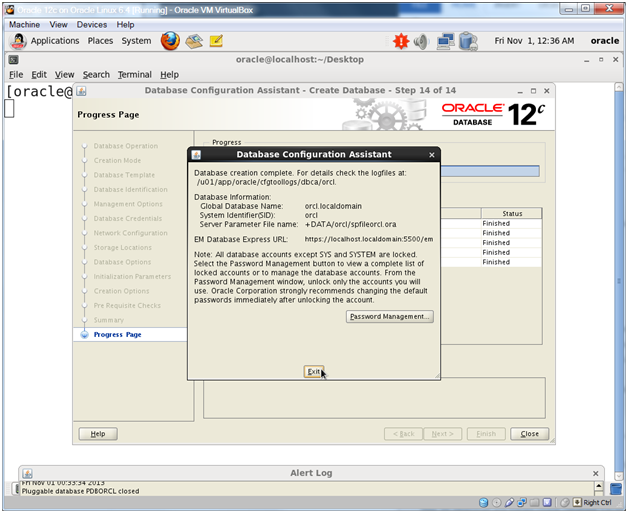 Check Create As Container Database and enter pdborcl for PDB Name. 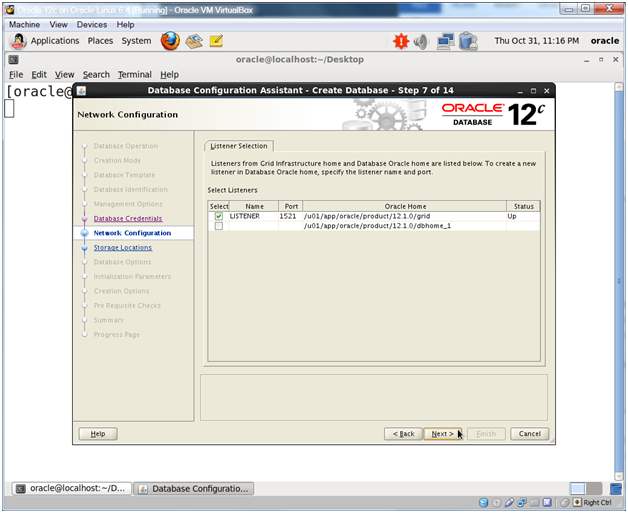 If you are in my Oracle Database 11g Admin I or II course at Austin Community College and you are using 12c for your own test server at home, you may want to skip the pluggable database part and just stick with a ‘regular’ orcl instance so your environment matches the Oracle training materials more closely. If so, don’t check the Create As Container Database check box. 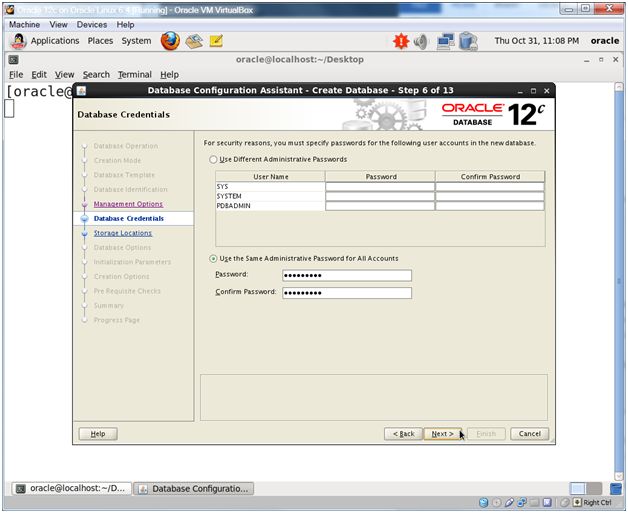 Choose Use the Same Administrative Password for All Accounts and enter oracle_4U for Password and Confirm Password. 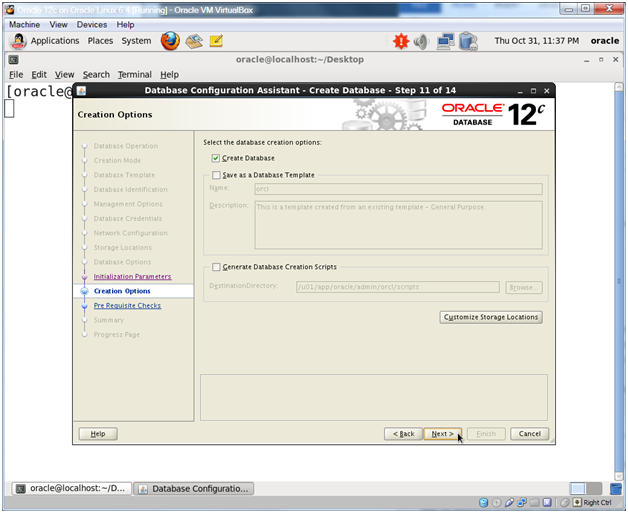 Our ASM listener (notice LISTENER is in the grid home) supports dynamic instance registration. 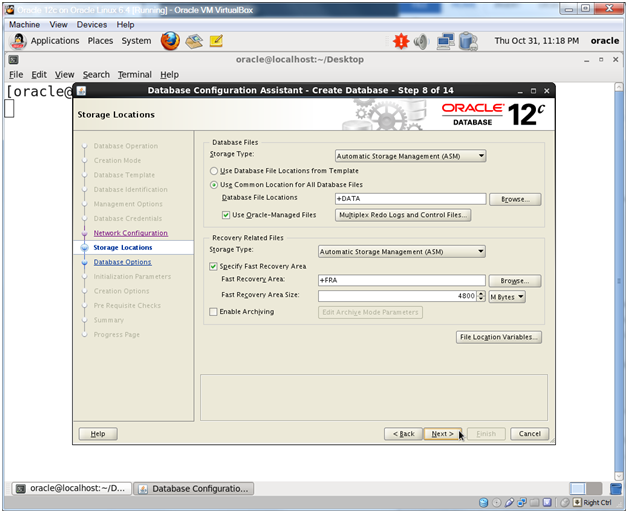 Change both Storage Type dropdowns to Automatic Storage Management. 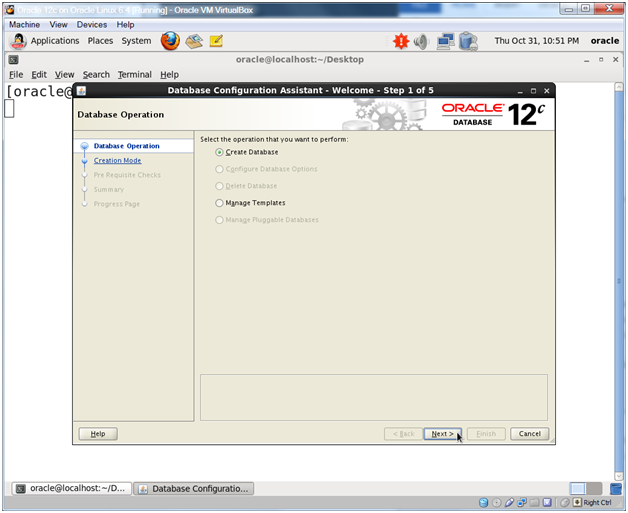 Change Database File Locations from +FRA to +DATA. 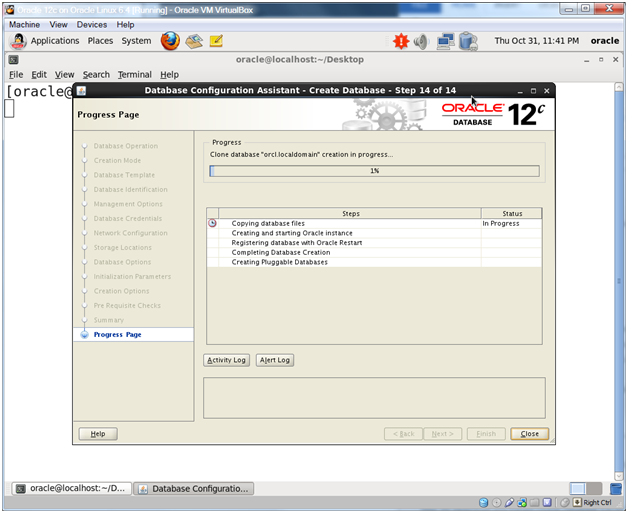 Change Fast Recovery Area from +DATA to +FRA. In any type of production situation you’d be enabling archiving. However since this is a learning environment we’re going to leave that unchecked for now. Check Sample Schemas and click Next. 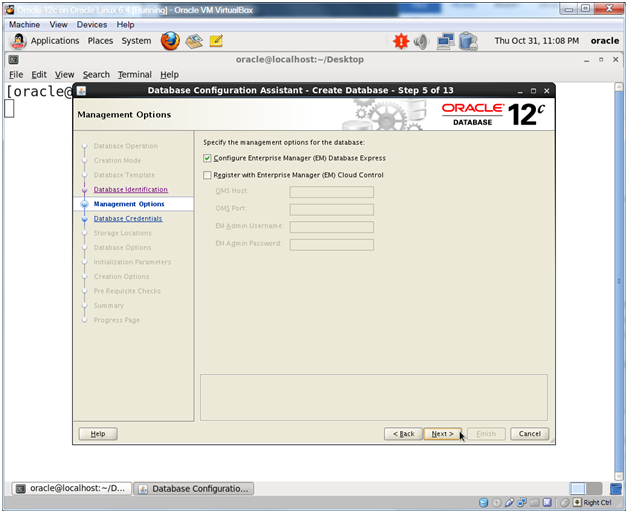 Confirm that Use Automatic Memory Management is checked. Enter 2048 for the Target database memory. Don’t click next, but instead click the Character sets tab. Why so little memory? Two reasons: First, this is just a test or classroom system. 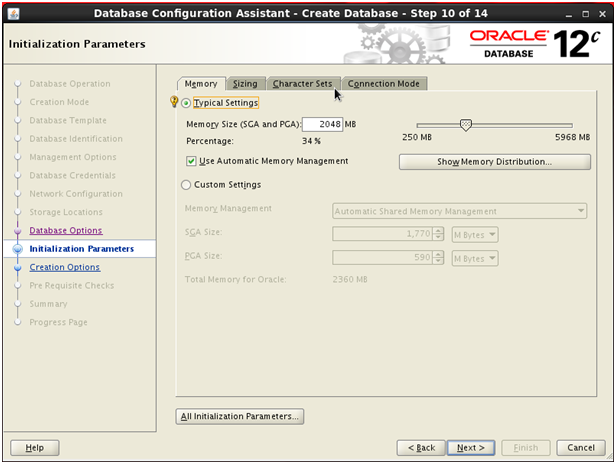 Second, if the memory size is too large then you’ll get an error because /dev/shm will need to be resized to potentially fit the amount of memory allocated to Oracle. For very large amounts of memory you’ll want to look into enabling HugePages on Linux which means that you won’t be able to use Automatic Memory Management (AMM). On the Character sets tab, choose Use Unicode (AL32UTF8) and click Next. These days Unicode should be used for your Oracle databases. 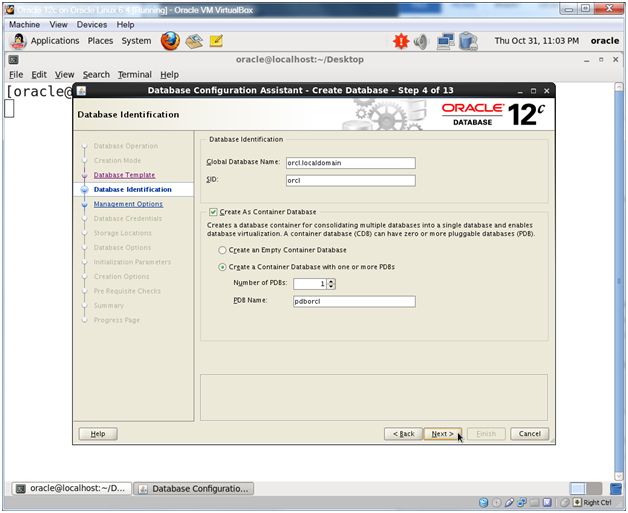 Oracle is requiring Unicode for some products and Java applications use Unicode natively so you won’t have to do character set conversions between the database and your application if you use Unicode. 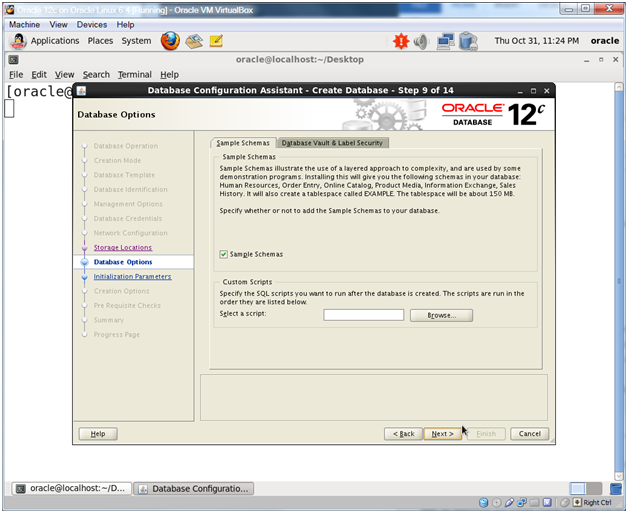 This entry was posted on Monday, April 28th, 2014 at 7:11 pm	and tagged with Database Install, Oracle, Oracle Linux and posted in Code, Linux. You can follow any responses to this entry through the RSS 2.0 feed.